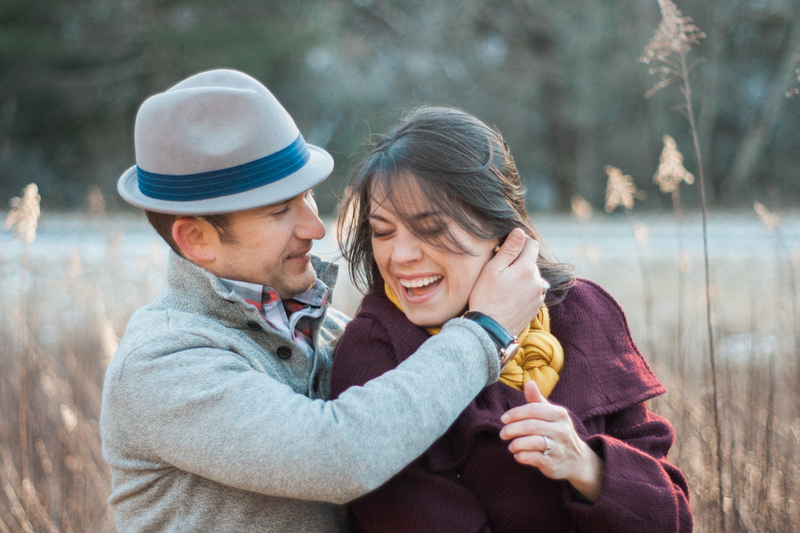 The couple’s long-distance love story started back in 2012 when they met through a mutual friend at an Atlanta Braves game. After doe-si-doe-ing during a dance break, Dom decided to get Katie's digits so they could stay in touch. It took about 6-months before they made it exclusive. 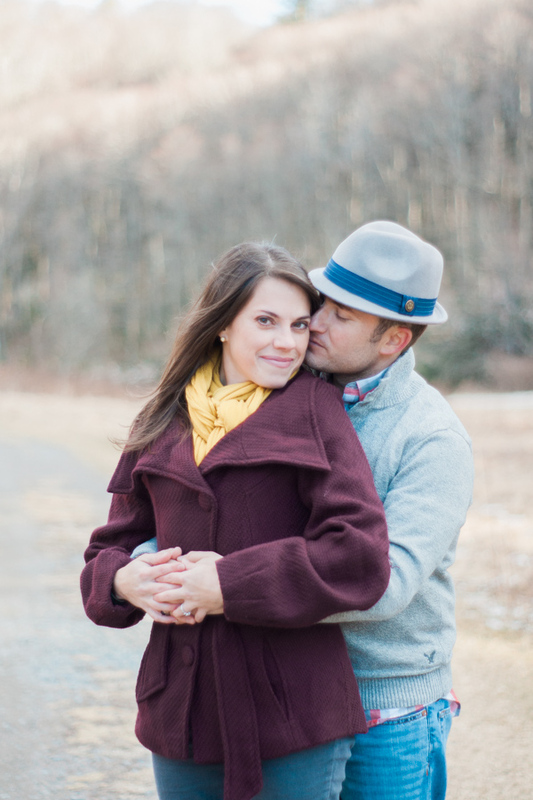 The location idea that Katie wanted to explore was photographing their engagement pictures at the Greenway Trail here in Boone, NC. 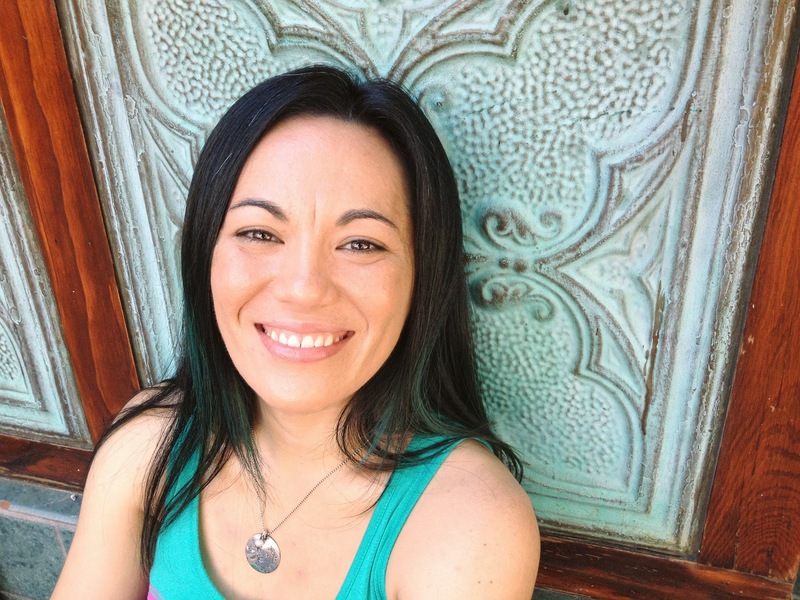 She’s been going there since childhood, it's a beautiful wooded area not too far from Boone's city center with trails for jogging, biking, hiking, etc. It's a super popular spot all year long that's close to town. 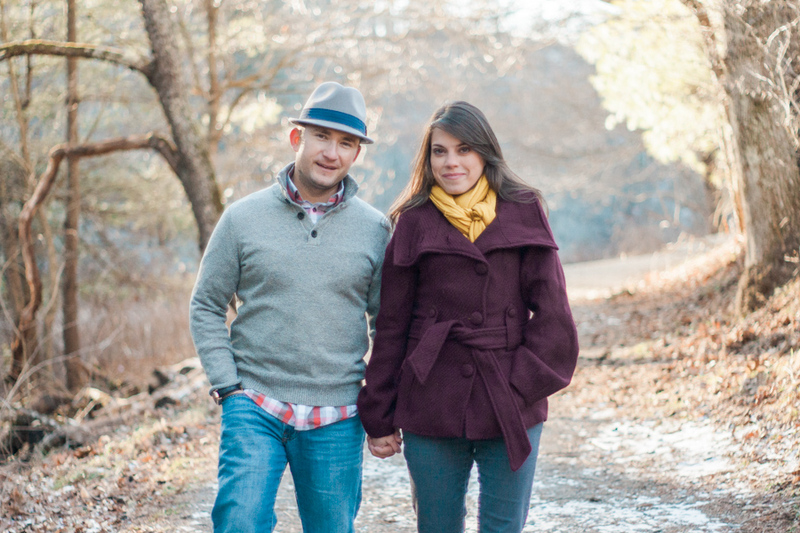 I've used this outdoor location to photograph people before so I am pretty familiar with the area—it also happens to be a stone's throw from our home. 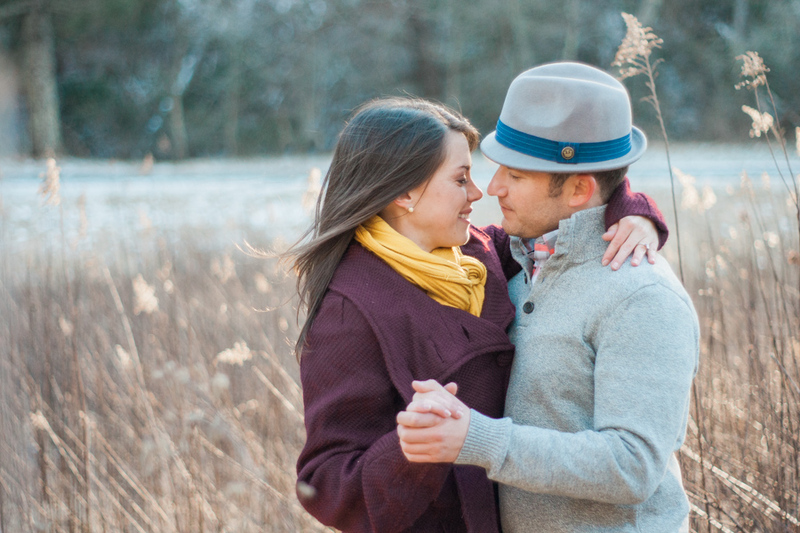 In fact, it’s also where I shot my very first engagement session back in 2011! 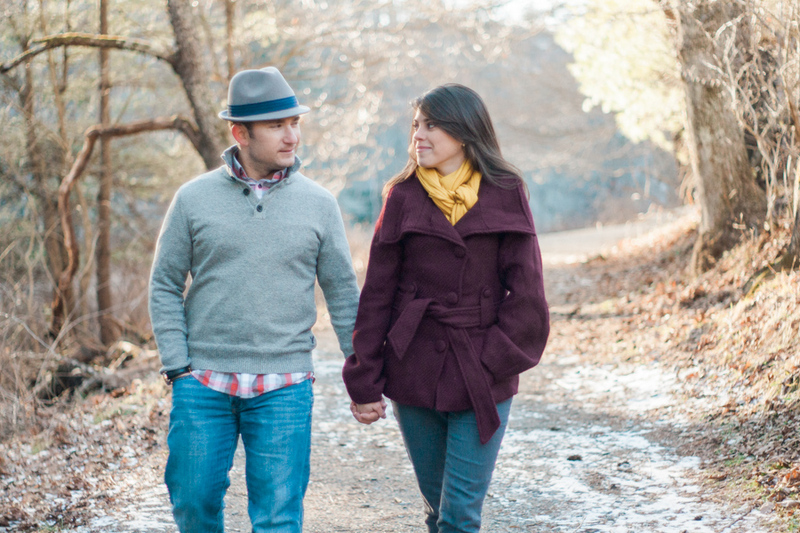 While I’ve photographed families and individuals here on the Greenway Trail since then this is the first couple I’ve had the pleasure of shooting there in a number of years. It's just as gorgeous in the wintertime as it is in the spring, summer, and fall if you ask me! Initially, we were entertaining the idea of shooting their engagement session at the Turchin Center (a museum of sorts) because of the not-so-favorable forecast but when I got word back that they wanted $75 an hour to shoot there—not to mention the fact that they needed to see all of the images I would capture to make sure none of the artwork was photographed—we decided to take our chances and hope for the best with the outdoor photo shoot instead! And I'm so glad we did because it was beautiful. The special spark that these two share helped me to see what keeps them so close even though the distance between them is vast, for now. 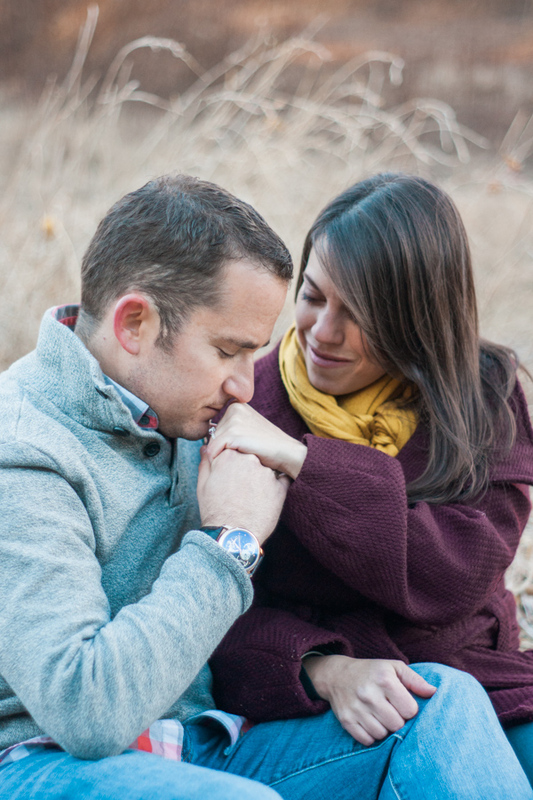 Katie and Dom are one-of-a-kind and I'm so glad that I had the opportunity to be their engagement photographer! 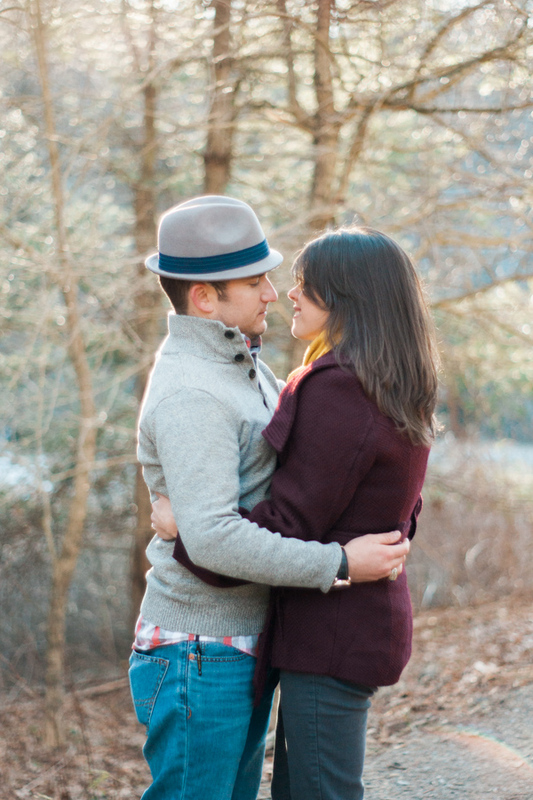 I'm really looking forward to photographing their wedding. 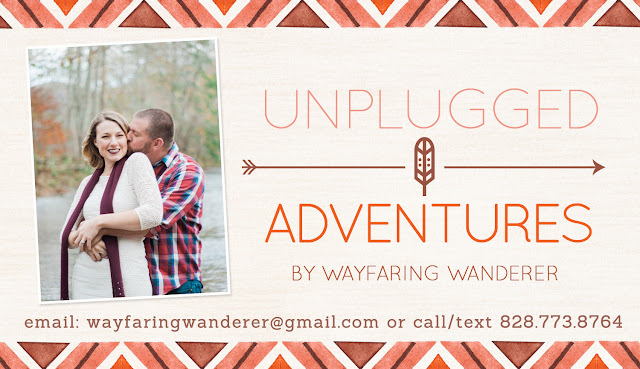 Send me an email at wayfaringwanderer@gmail.com or message me through my website contact form because I'd love to find out how I can best help you! 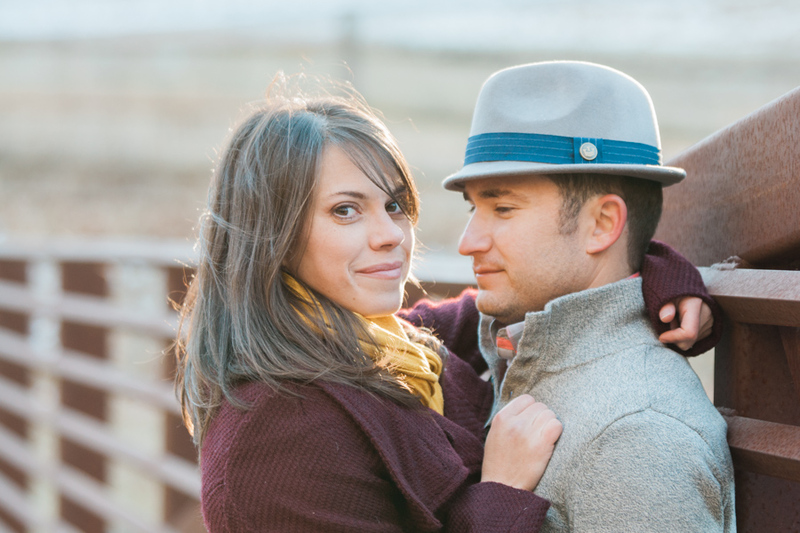 Now BOOKING 2015 + 2016 engagements + weddings! I'm currently offering UNPLUGGED PHOTO ADVENTURES in October & November to couples & families that are looking for an alternative to formal family photos! Click here for details! It's been nearly a year since a handful of local Boone wedding vendors got together and took on the challenge to photograph an Alice in Wonderland wedding themed styled shoot in the dead of winter. It was a pretty crazy idea to pull all of this together in under a month, but we had such a great team, and everything happened so seamlessly throughout the entire project, so it was a dream to bring this conceptual shoot to fruition. 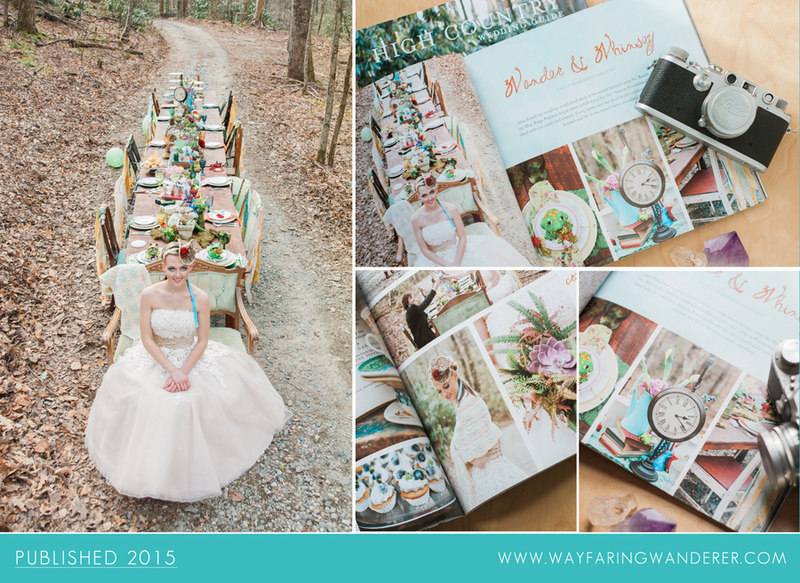 I'm so pleased to share that the Alice in Wonderland styled wedding shoot was published in the High Country Wedding Guide this year! YAYAYAYAYAYAY! Happy dance time! 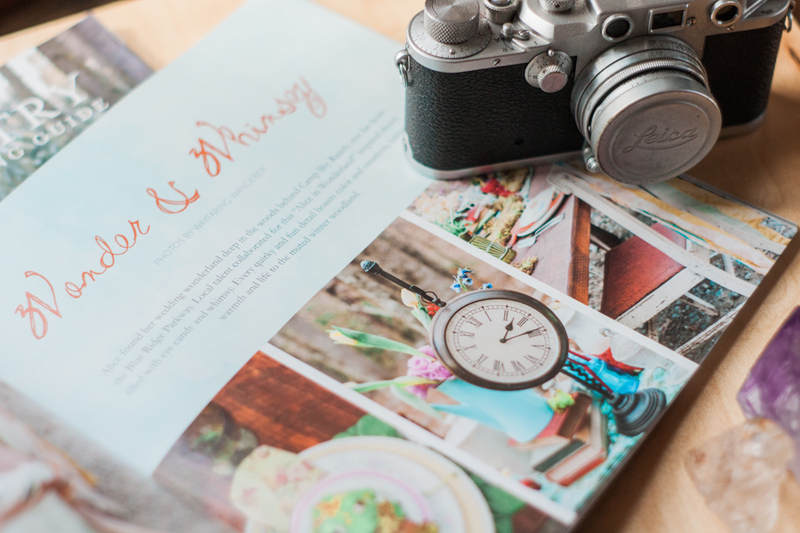 There's nothing quite like seeing your wedding photography work in print. This definitely makes all the effort we put into bringing everything together so worth it! Read more about what it took to put the styled shoot together HERE. 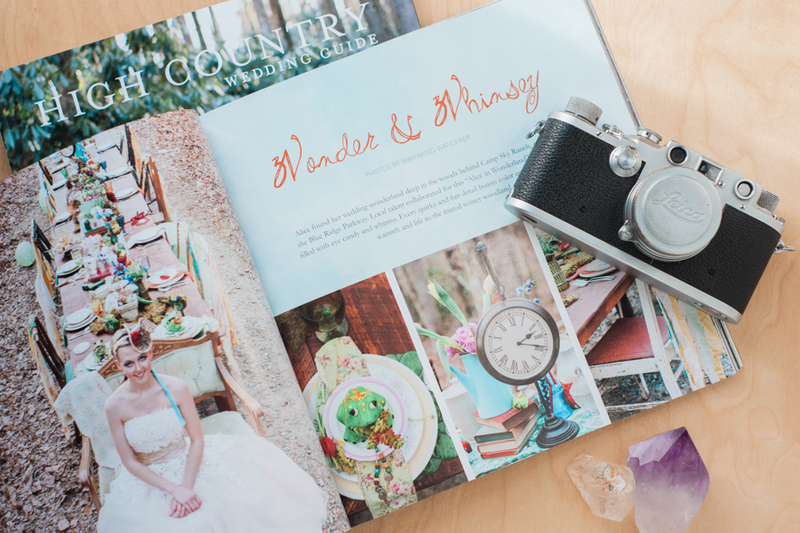 High Country Wedding Magazine's new issue just hit newsstands a couple weeks ago. The wedding photos from this unique shoot managed to cover a 6-page spread that you can preview on pages 50-55 in the guide. 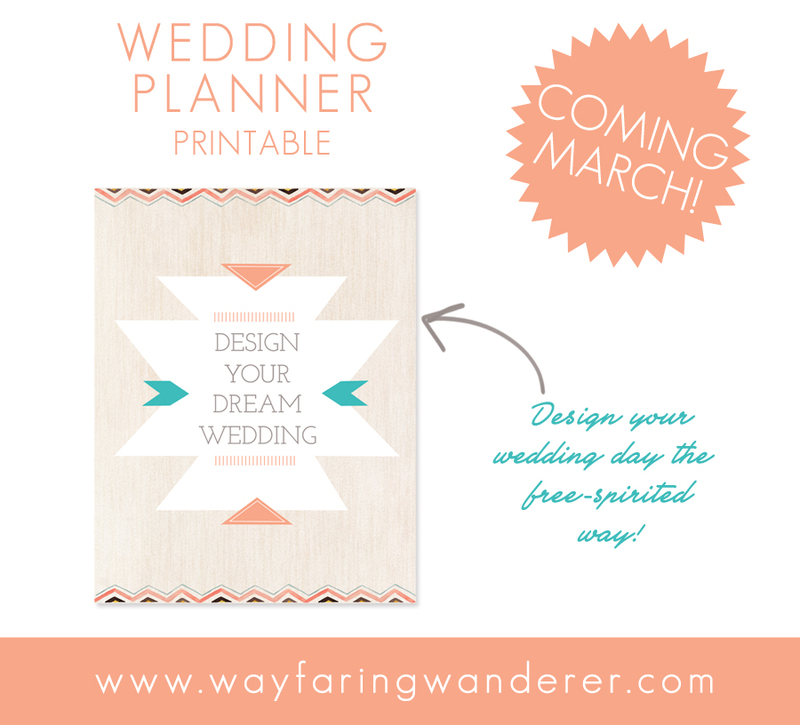 Pick up a copy at various local outlets in the High Country to help inspire your destination wedding planning in Boone! Not local? 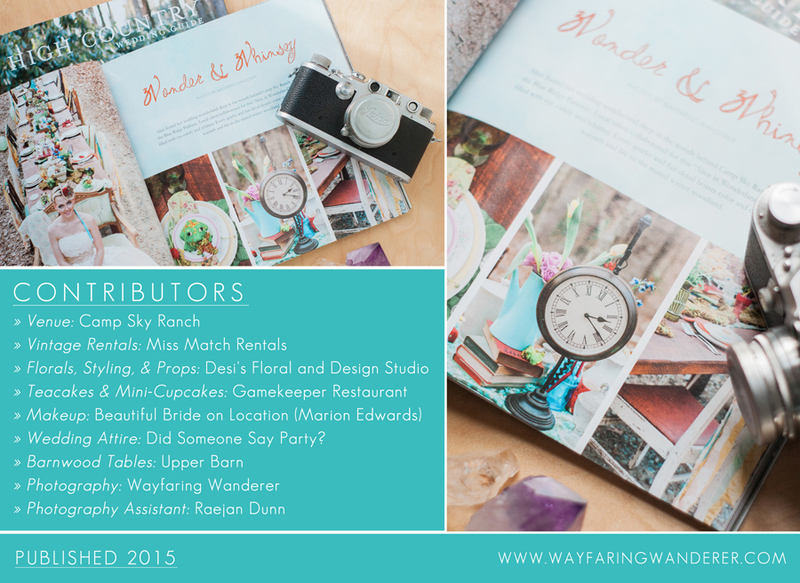 You can see the High Country Wedding Guide's 2015 Blue Ridge Mountain issue HERE. » Wedding Attire: Did Someone Say Party? Several blog posts were published here on Wayfaring Wanderer about the Alice in Wonderland shoot if you wanted to read more about what went into it. Also, here's a blog feature that highlights some of my favorite images from the shoot, some that you won't see published in the wedding guide. 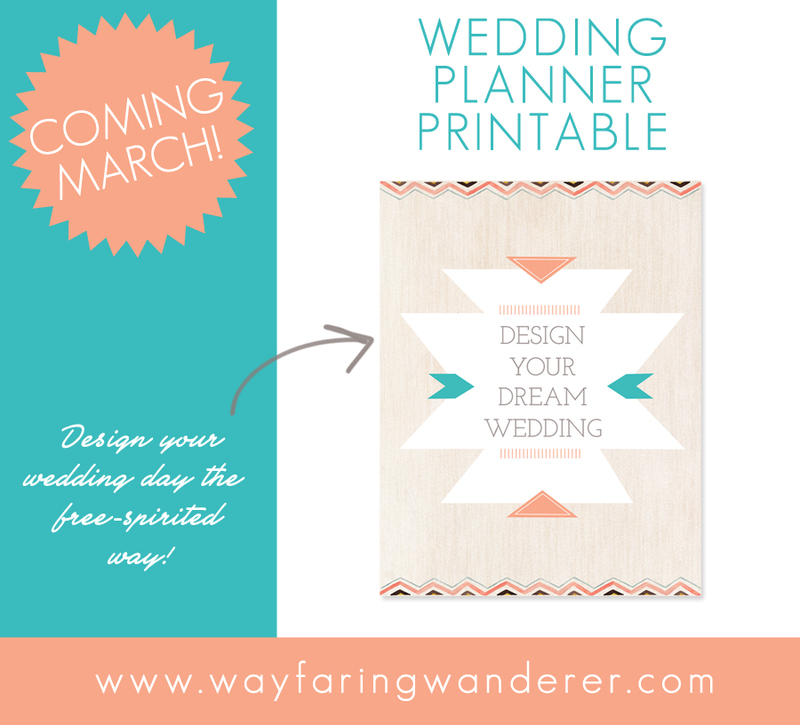 It was so much fun planning, preparing, and photographing this wedding styled shoot. Getting to unleash our wild creativity was so refreshing and I'm looking forward to the next styled shoot I'll be putting together this spring with other local wedding vendors here in Boone. 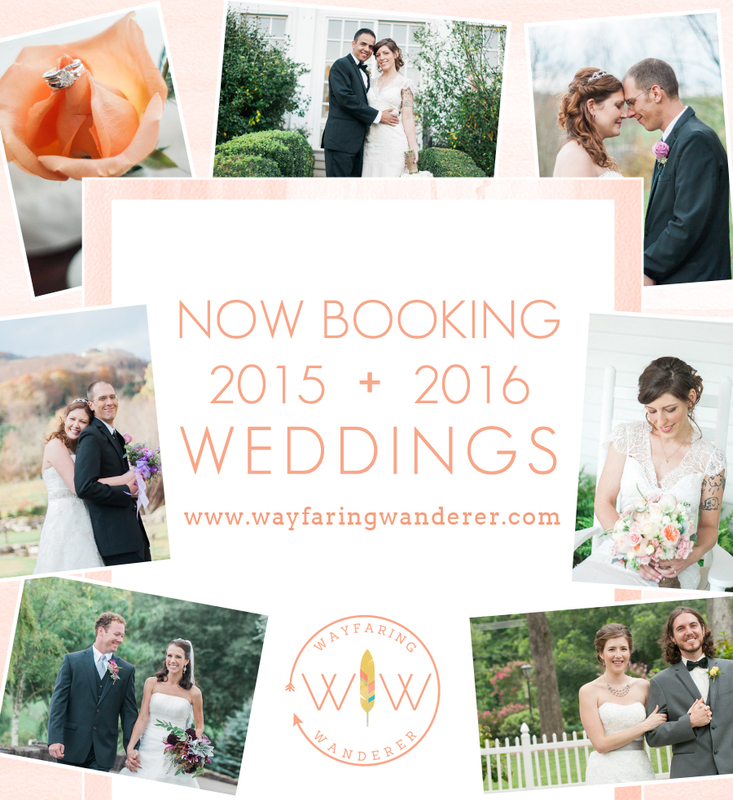 If you are interested in collaborating in some way during the next wedding styled shoot that I will be planning, please send me a message at wayfaringwanderer@gmail.com. 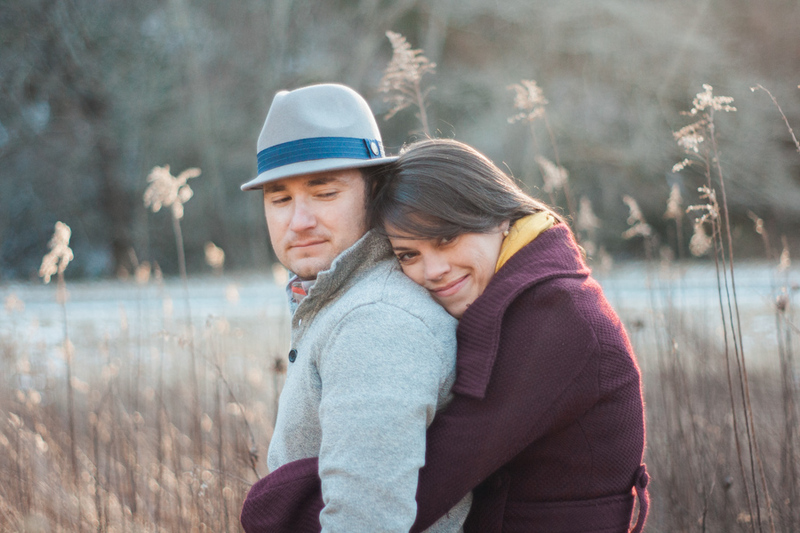 Whether you are married, planning a wedding, or just looking for ways to add the spark back to your relationship, here are some simple but fun ideas to show you that you don’t need a bunch of money to plan a date night with your honey. 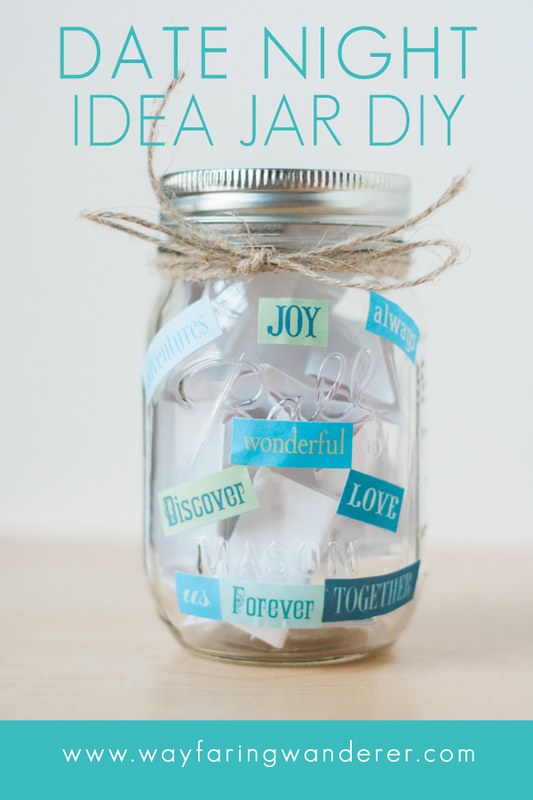 Heck, you don't even need to plan anything with the idea jar. You can just pick out a random activity and go on a spontaneous adventure! It’s all about reconnecting with that special someone, it doesn't really even matter what you do. I know that putting a “date night” on the calendar sounds unsexy, but this should be a priority even if it's only once a month. 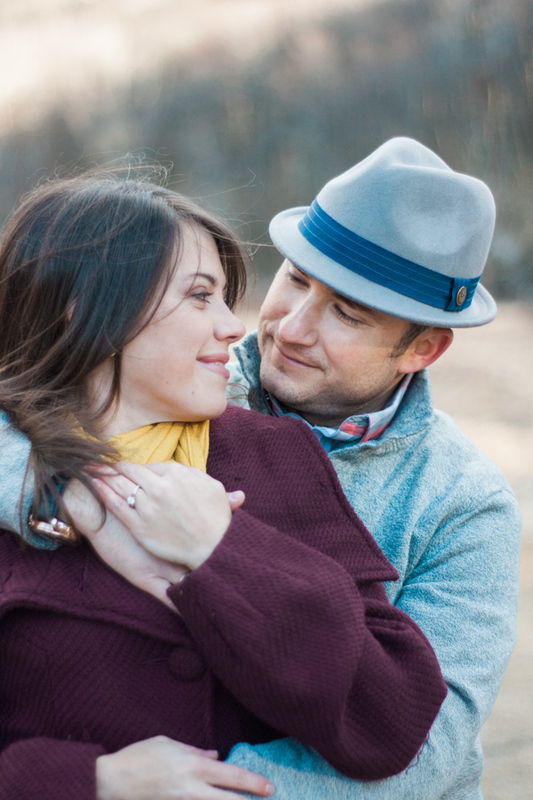 Put it on the schedule and keep it as a non-negotiable day to connect in some way with your partner—just the two of you—even if you can’t leave the house. Seriously. This is all about making time for what matters most. 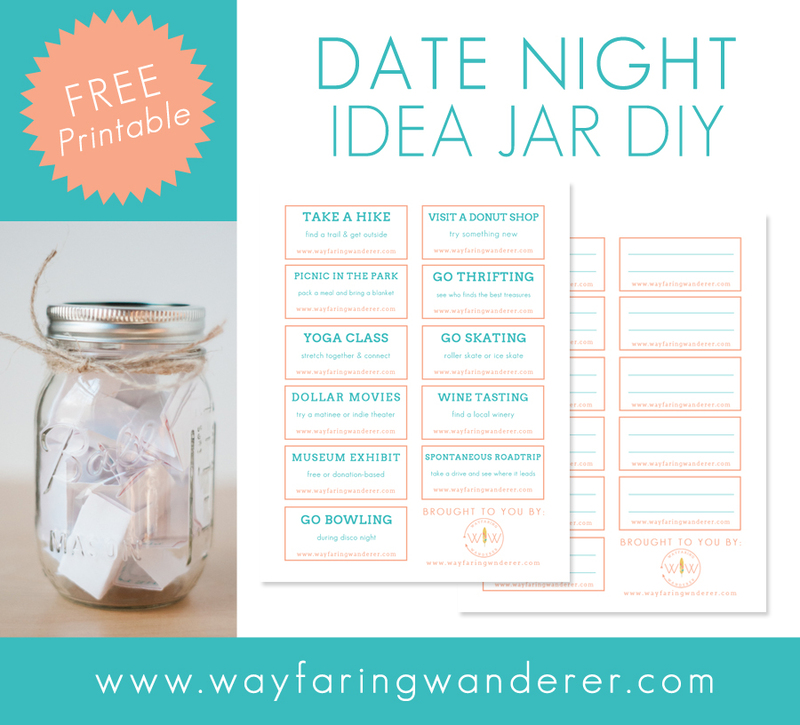 I know that money can get in the way of doing this regularly, which is why the ideas I’m sharing for the DIY Date Night Idea Jar are free or under $20. Got babysitter woes? 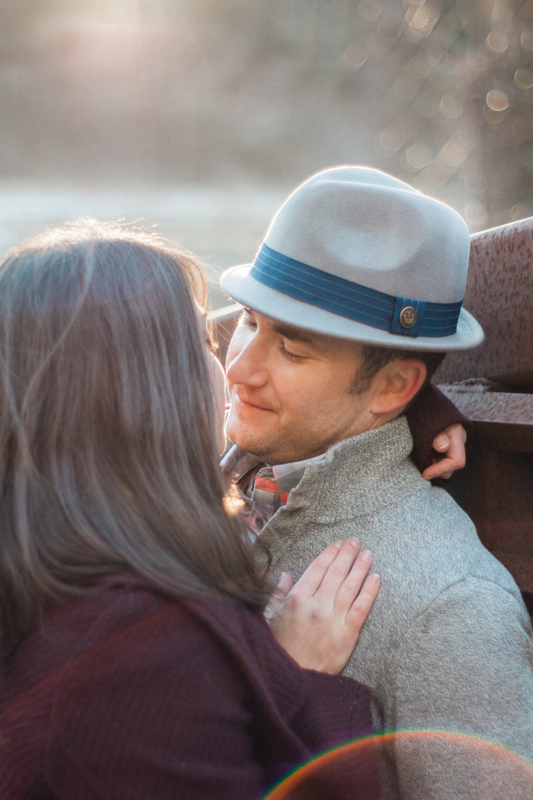 Trade date nights with another couple that has kiddos so you can support one another and strengthen your relationships with your partners at the same time. Sounds like a win/win to me! 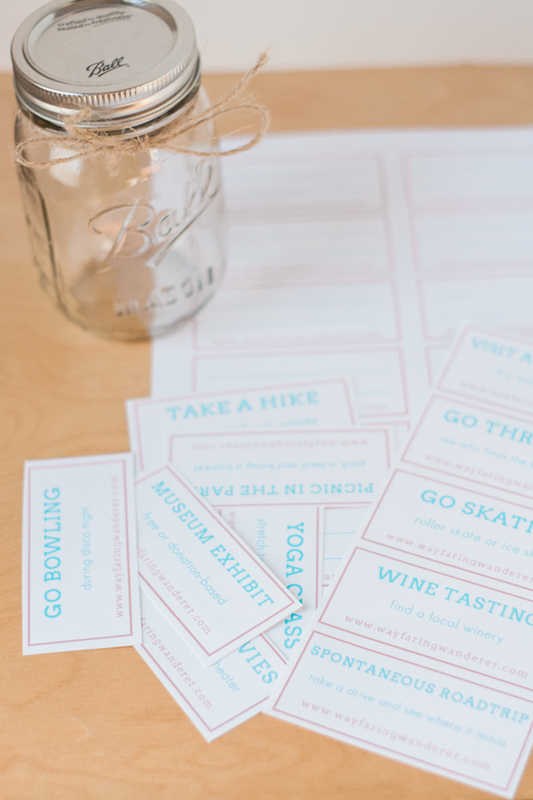 I also included a sheet of blank cards with the printable so you can write in your own date night ideas if the ones I shared aren't up your alley. These are all things that Cody and I do together as well as things that I want us to do soon! There are so many different activities you can do as a couple to have fun and reconnect. What ideas would you add to the list?! I'd love to hear your date night ideas in the comments! 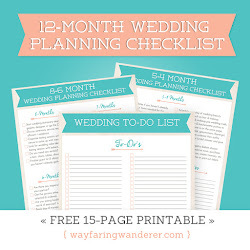 » Cut out idea cards and fill in the blank ones with date nights that you want to do. » Fold the cards and put in a mason jar. » Decorate however you like! I kept it simple and just tied a piece of twine around the top and then added some stickers with phrases that focused on feelings I hope that we conjure on our date nights. 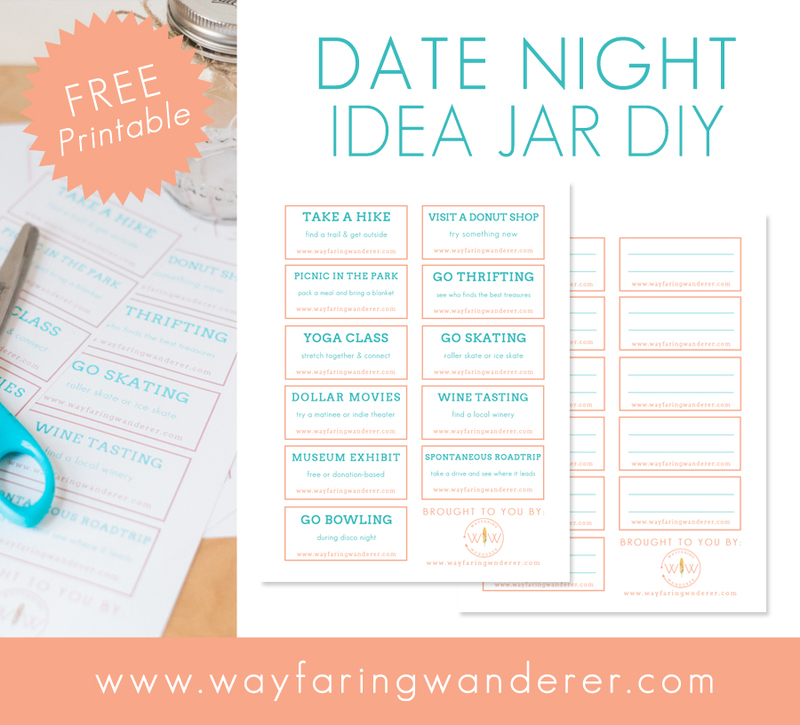 To download the FREE Date Night Idea Printable, click here.